Demand for tickets for this show was so great it was transferred from The Institute to the larger O2 Academy - but this is one production that should really be in arenas. Chris Daughtry's songs are anthemic with huge singalong choruses that make you want to punch the air or just play along on air guitar. They are made for the big stage. The 34-year-old from North Carolina was fourth in 2005's American Idol TV contest but he and his band were hailed as heroes by the sold out Birmingham audience. Kicking off with the title track from new album, Baptized, the 90-minute gig flew by as the shaven headed singer performed songs from all four of the band's long players. Hits like Feels Like Tonight, Over You and It's Not Over from the 2006 debut album, Daughtry, got the best response from the fans who, nevertheless, still sang along heartily to newies such as Waiting For Superman and Long Live Rock & Roll. Power ballads Broken Arrows and Life After You provided a mid-set breather, while a cover version of Phil Collins' In The Air Tonight was surprisingly effective. 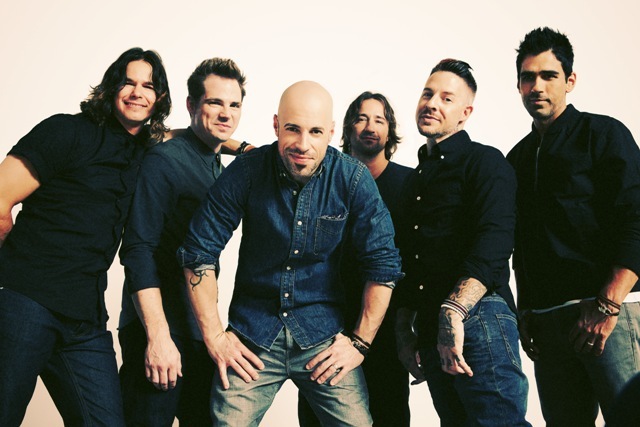 Daughtry conclude their UK tour at London's Shepherds Empire on March 26.